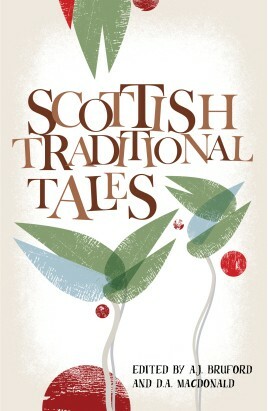 Taken from a variety of sources, from the Hebridean Gaelic to the lowlands, this is an authoritative collection of tales that are divided by theme - tall tales, hero tales, legends of ghosts and evil spirits, clan feuds and much more. All over the world traditional tales used to be told at the fireseide until their place came to be taken by books, newspapers, radio and television. This is an entertaining collection from Scotland, recorded and collected by researchers from the School of Scottish Studies at Edinburgh University over the past fifty years. Taken from a variety of sources, from the Hebridean Gaelic tradition to recordings of Lowland cairds (travelling people), some are well-known tales which have equivalents in other cultures and languages, whilst others are unique to Scotland. The tales are arranged by theme: - tall tales - hero tales - legends of ghosts and evil spirits - tales of fate and religion - fairies and sea-folk - children's tales - trickster tales - tales of clan feuds - robber tales This is a welcome reprint of a book that quickly established itself as a classic. It was previously published by Polygon. D. A. Macdonald Lectures In Oral Tradition And Popular Tradition At The School Of Scottish Studies, Edinburgh University, As Did The Late A. J. Bruford Until His Death, In 1996.